If you’re not worried about trip cancellation or medical emergencies, AirCare® is simple, affordable flight insurance. How is AirCare® different from traditional travel insurance? Traditional travel insurance like BHTP’s ExactCare and WaveCare trip protection plans include travel health insurance and coverage for trip cancellation and trip interruption, lost luggage, and more. 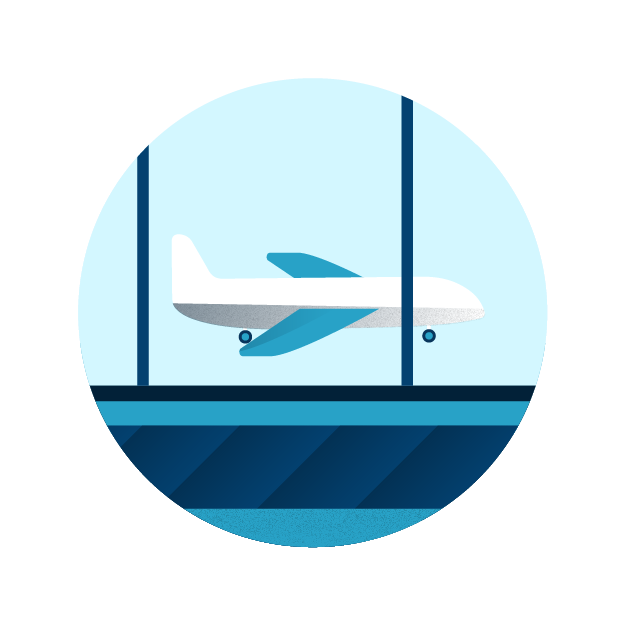 AirCare is a different type of protection: flight insurance that pays you fast for flight delays, cancelled flights, missed connections, lost and delayed luggage, and tarmac delays. How do I choose affordable travel insurance? Look at how you're traveling. If you’re concerned you may need to cancel your trip, or if you need travel medical insurance, compare our Berkshire Hathaway Travel Protection ExactCare suite of affordable travel insurance plans. Not you? You can save on your travel protection with BHTP's AirCare flight insurance. Still not sure? Call us at 844-411-BHTP to learn more.